As many of you can tell, I'm a sucker for anything relating to Spring right now. This stripped chiffon turquoise dress screams spring to me! 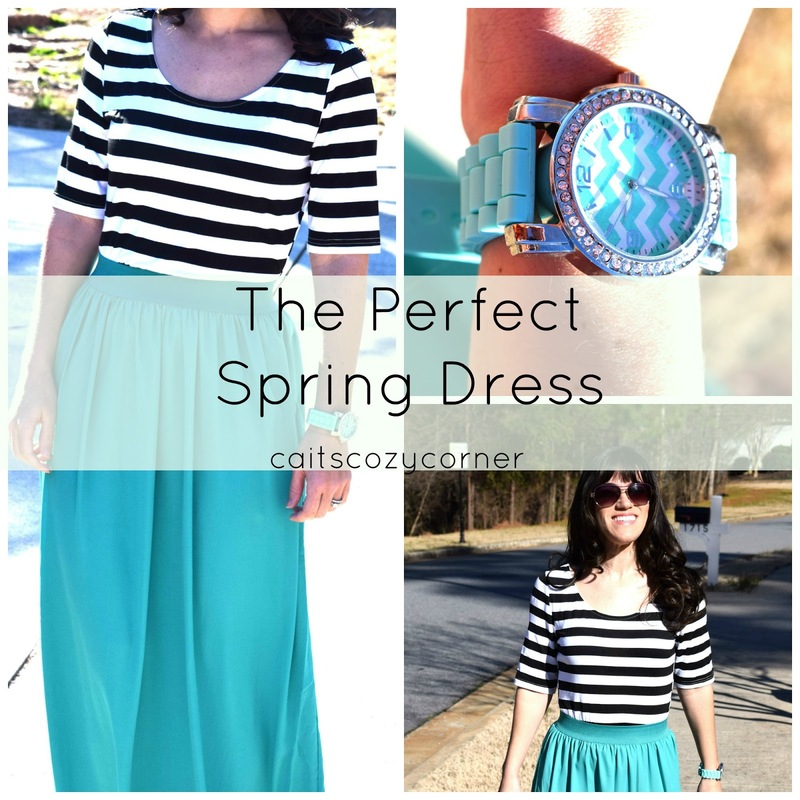 The best is as much as it looks like a great shirt and long skirt, it's actually a maxi dress! I love how such an easy outfit can together within minutes! I added this adorable mint watch ( because you can never have to much mint! ) and my favorite Target wedges to complete the look. Walking around in the sunshine will never get old for this new southern girl and I'm just itching for these upper 60 temps to keep for the next few weeks while we have company coming in from out of town next week! I'm off to a bachelorette party all weekend so I can't wait to snap a few of our wine tours for you all ;) Are you following me on Snapchat. I'm sure you don't want to miss out. I can't believe that is a whole dress! I saw you posted it on Insta and thought it was a top and skirt. It's totally cute! Thats just 1 dress??? I really thought it was a top and bottom! I really like the watch too! Beautiful! I love the contrast of the stripes on the bright colour! Thanks for linking up!